The Panels Triptych Set of 3 is an exploration of texture, colour and form, and consists of three complementing pieces in stylishly subdued colours. Each artwork is a print of an oil painting that contains structured panels of colour, ranging from pale pinks to dark greens. Slender black lines separate each shape and add a framed look to the design. 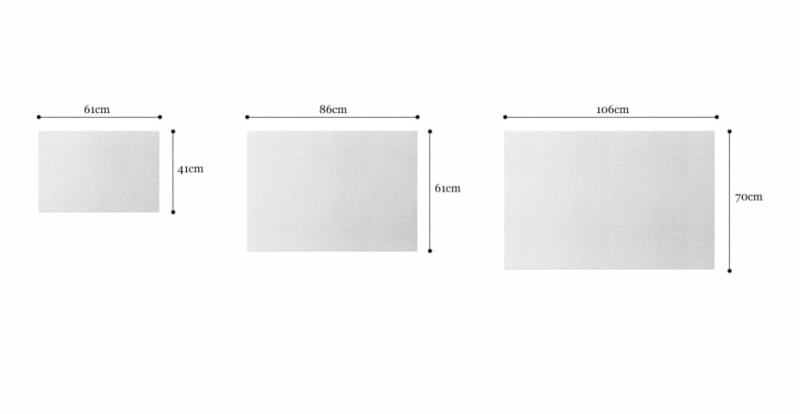 Complete a room by adding this series of prints to a blank wall and instantly uplift the atmosphere of the space. For a wider range of colours and styles, discover the complete collection of wall art from Brosa.